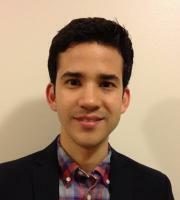 Dr. Ayala is a Postdoctoral Assistant Professor in the Mathematics Department atthe University of Michigan. He obtained his bachelor degree in Engineering from ITESM (Mexico, 2005),and his doctoral degree in Mathematics from McMaster University (Canada, 2014). Dr. Ayala was aparticipant at the Program in Mathematics of Turbulence organized by the Institute for Pure andApplied Mathematics, UCLA, in 2014. His research interests include computational fluid dynamics, large-scale computing and optimization.